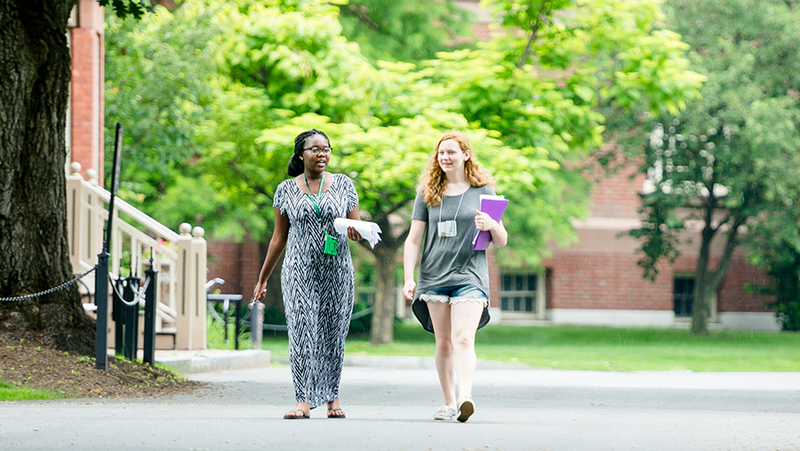 Summer Precollege Programs at Smith College offers intellectually stimulating and unique opportunities for high school young women who wish to pursue their academic interests in the classroom and beyond. Every year these programs offer more than 200 young women the freedom to explore challenging and intriguing subjects, to strengthen their college applications and to sample the Smith undergraduate experience while living and studying with other motivated and ambitious students from around the world. Smith welcomes to these programs young women from many nationalities and diverse racial and socioeconomic backgrounds who together form an extraordinary intellectual community. The learning environment is hands-on, collaborative, exploratory, challenging and rich in role models. Smith faculty members offer personal attention in the classroom while encouraging students’ interests and passions and helping them develop new academic skills. Participants get a taste of college life on Smith’s beautiful 147-acre campus, with its traditional ivy-covered buildings, magnificent gardens and Paradise Pond. Students live together in college houses, and Smith undergraduates serve as resident supervisors and teaching assistants. All meals are served in the house dining rooms. The Smith campus is just steps away from downtown Northampton, Massachusetts, regularly cited as among the best college towns and best small arts towns in the country. Students take courses and workshops throughout each day and can choose from a variety of organized cultural, social, athletic and artistic activities at night and on the weekends. Here young women are taken seriously and inspired to excel—as scholars, scientists, writers, researchers, and leaders. Smith College Precollege Programs welcomes international students each year from around the world into our programs. You'll find that our small classes, similar to the undergraduate experience at Smith, offer exceptional learning in an environment where women are taken seriously and inspired to excel as leaders. Smith is located in the northeastern region of the United States, an area with some of the highest concentrations of international students anywhere in the country. When applying for a program, please consider both your interest and familiarity with the subject as well as your level of English proficiency. In order to succeed in our challenging programs, you must be proficient enough in English to keep up with classroom lectures, participate in group discussions, read and write English at a fast pace, and communicate and connect with your peers. Your English proficiency is critical to having a positive experience. English proficiency tests (TOEFL or IELTS) are required for international citizens. They are required for students being instructed in a language other than English. If a student has been instructed in English for two years or less, they are still required to submit English proficiency test results. Students who have been instructed in English for three years or more are not required to submit scores. Please note that test requirement is based on citizenship, not on where a student attends school. Classes go from 9 a.m. to 4 p.m. After that, you can use all of the campus facilities (Smith has two gymnasiums, an indoor pool, indoor and outdoor track and tennis facilities, squash courts, dance studio, croquet court, and a fitness center. Smith is also home to a distinguished art museum, an award-winning botanic garden, and greenhouse), and go on field trips that are included as part of your tuition (music, theater) for afternoons, evenings and weekends. There is always an organized activity to join—or you can spend time with your friends from the program. Each program offers some of its own activities outside of the classroom, but we also plan activities that all students will want to participate in. There are also optional getaways, which require a separate fee. Smith College and the surrounding area are home to unparalleled collections and cultural heritage institutions that offer an immersive experience in women's history. During your time at Smith, we will explore women's lives through archival research, visits to local museums and tours of historic sites. With a focus on women and social change, you will be introduced to women who have altered the course of American history through reform, mobilization, cultural interventions and outright rebellion. 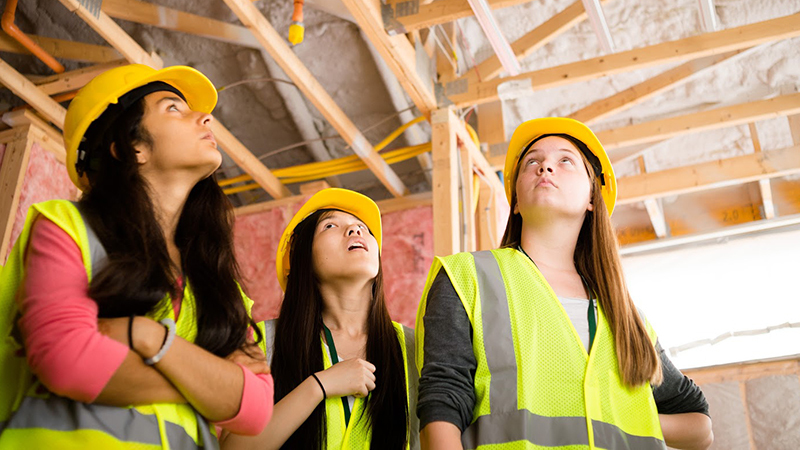 Now in its 30th year, the Smith Summer Science and Engineering Program (SSEP) is a four-week residential program for exceptional young women with strong interests in science, engineering and medicine. Each July, select high school students from across the country and abroad come to Smith College to do hands-on research with Smith faculty in the life and physical sciences and in engineering. With so few writing programs that cater exclusively to high school girls, Smith's Young Women's Writing Workshop allows you to explore your writing in a creative and supportive environment that fosters your love of writing in a variety of mediums. All of your classes will be in a workshop style, which means each class will begin with a short segment that focuses on a single lesson. Then the instructors will check in with you to see what you are working on. Open writing time follows. The class session ends with each writer sharing her progress with the group.